First up is the botanical print of this denim shirt. 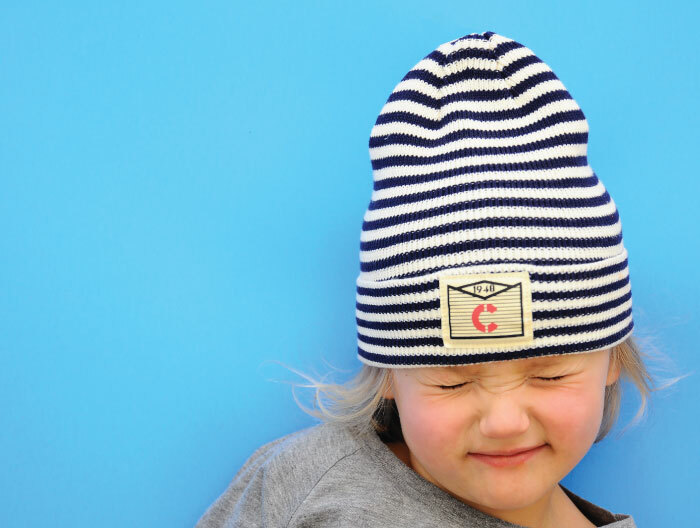 Botanicals are a huge trend for Spring for women and we love seeing it interpreted for our little buddies. Their denim has such a luxe feel and cut to it, it washes so amazingly well, so we’re happy to add denim pieces on top, too! As you’re browsing their Spring line you’ll see not only botanicals, but food, bugs and florals too. Next up, H&M graphic tees (Pictured: Detroit Tee) are always cool. They still have that youthful appeal but not juvenile. We’ve seen loungewear translate to street wear over the last few years and we love letting our boys rock it too. With the right top and accessories (Pictured: high tops, beanie found in store) it still feels polished and not like pajamas. 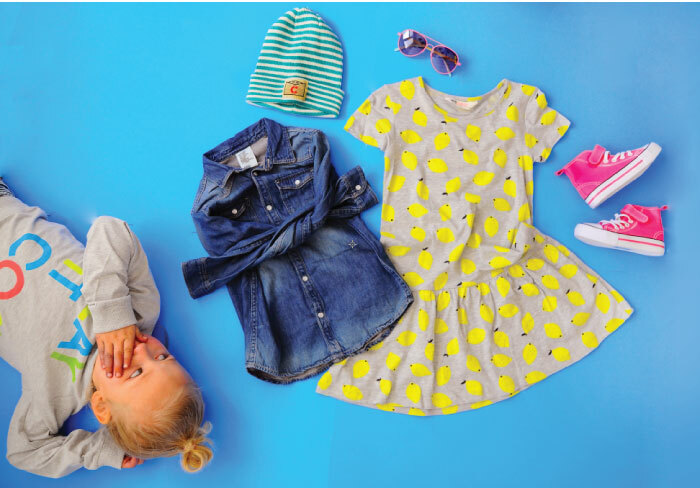 For our littlest girlfriends, they are nailing it with easy bohemian pieces that easily layer for fickle Spring weather like this cotton dress with a denim button down on top. 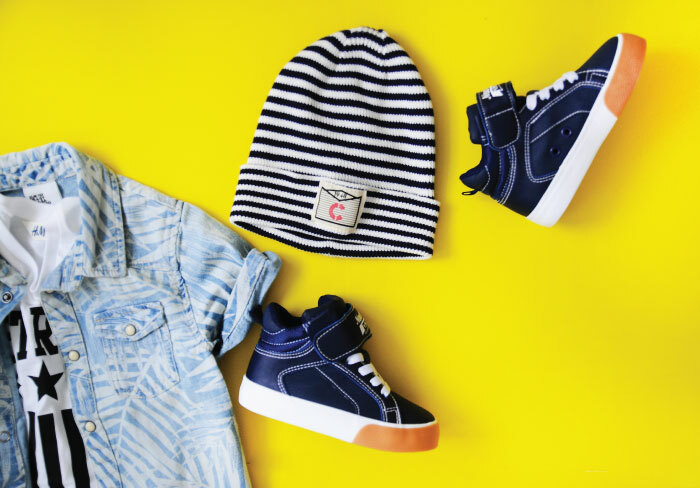 She won’t be slowed down with the stretch and ease, especially with these darling high tops for girls! Or this amazing coordinated top and skirt (perfect for Easter!) We love all the unexpected animal details like on this bunny sweater or kitty jeans and inexpensive accessories that our kids love to rock (like these sunnies!) but won’t hurt our souls when they get lost or stepped on. The denim is so great all seasons, but we are especially loving it for Spring! If you’re looking for a place to start, we LOVE this pair on our boys and our friends with girls rave about these! The most lovable part of H&M of all is their price point. 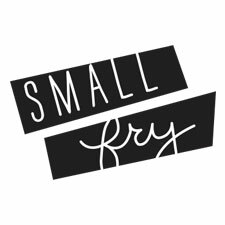 Being on the forefront of high quality on-trend apparel for the whole family, H&M could easily raise prices and still be competitive with other shops we frequent, but they maintain such an affordable collection and that is what makes us forever loyal! If you don’t have an H&M nearby shop online at HM.COM, and be sure to visit back often as they’ll be adding more Spring pieces often! We’ve been pinning more of our Spring favorites from H&M on our “WEAR” board, check it out! Also one item of business! We are bringing back our Unplugged Week THIS Monday. We are nervous and excited, but know that if we do it together it will be amazing. 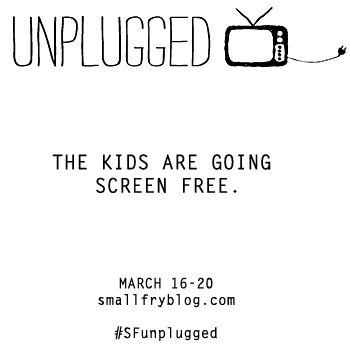 We hope you’ll join us and share your Unplugged happenings with the #SFunplugged hash tag! We’ll be back Monday with ideas and support and solidarity. Have a great weekend! 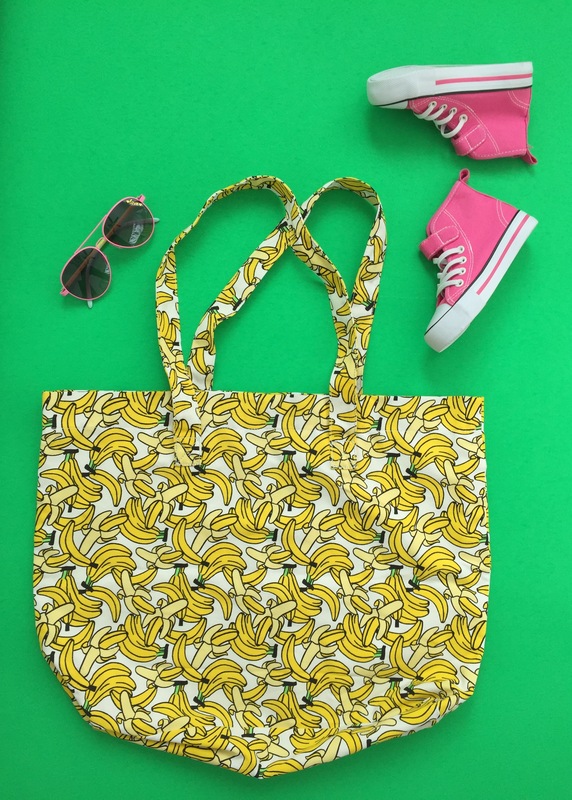 Please tell me more about that banana tote!